Designed by Joseph Todaro, made in Brazil. Neck, back and sides hand-carved from one solid piece of wood. The tops are Canadian Spruce and the body is Bolivian hardwood. 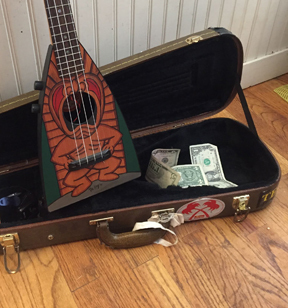 The Akulele "Ukulele playing Moai" label was illustrated by Robert Armstrong.